Teach yourself to play authentic blues Guitar with this book and video set. 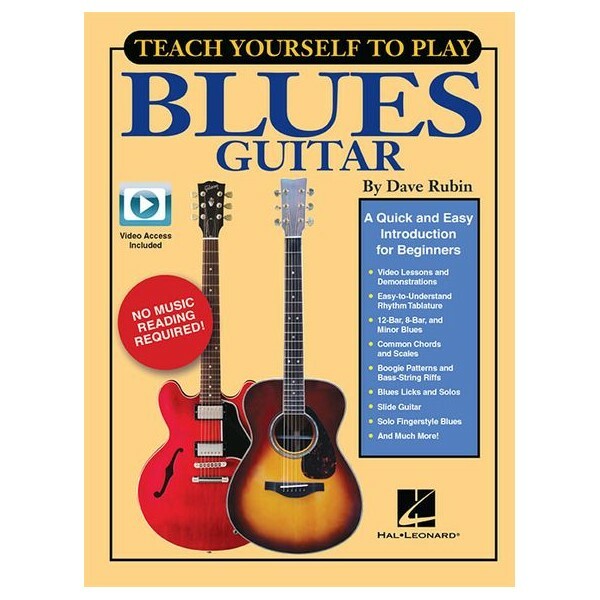 Each music example in Teach Yourself To Play Blues Guitar is taught and performed on video by author and blues historian Dave Rubin. You'll learn many tips, techniques and tools of the trade along the way as you hone your burgeoning blues bravado. No music reading is required. Each example is notated in an easy-to-understand rhythm tab format and demonstrated on video. The price of this book includes access to video lessons online, for download or streaming, using the unique code supplied inside the book.